René Sieders and Remko van der Pols. Van Haren Publishing, ISBN: 9789087536244. Self-assessment for application management organizations. Self-assessment is the individual, systematic review of a way of working and the results of it. 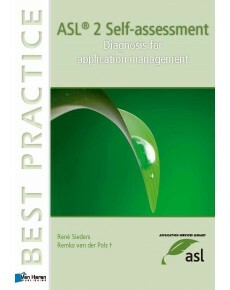 Filling out this ASL® 2 Self-assessment results into a clear notion how application management and its processes and activities are arranged within your own organization.